Newcomers to Okoboji have so much to look forward to in their relocation. The lakefront living and culture in this scenic Midwestern enclave cannot be surpassed. 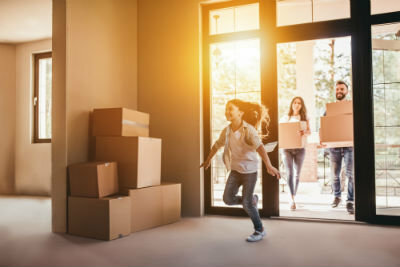 But although you might be dreaming of immediately heading out to engage in outdoor recreation, artistic and cultural exhibits, and resort-quality dining, it's important to make sure you prepare your home for move-in. The last thing you want is to arrive at your new home only to be bombarded by logistical items that you need to get out of the way before enjoying your new community. Take care of these must-dos first and start soaking up your new lifestyle the moment you step into this waterfront paradise! Rather than simply placing the boxes for each room in their respective locations within the house, go into even more detail. Set aside areas of each room for sub-categories of items. For example, within the kitchen, place utensils, plates, and other cupboard items in one corner, appliances such as toasters and electric kettles in another area, and baking supplies in yet another. If there's not a lot of room, stacking will work just fine. But by fine-tuning your organization for the whole home well in advance, once you start the unpacking process you can tune out a little bit and just enjoy the process of settling into a beautiful new home. This may be a little tricky if you're moving in the middle of winter, but you can still use the garage. Although your furniture may have been sparkling clean when you loaded it into the moving truck, it's likely gathered some dust and debris during the course of the moving process. Instead of tracking all this dirt into your new home, take the time to wipe down everything outdoors or in the garage before you bring it inside. If you don't, it will make your interior dusty and dirty and this will be harder to clean since you're unpacking new items and taking up space. If you take the time to plan out your storage in advance, you can avoid overusing functional spaces as impromptu storage rooms. As homeowners, we often intend to use parts of our homes such as the garage, attic, spare bedroom, or closets as temporary storage with the intent to clear them as soon as we have the time. What sometimes happens is that we get too comfortable and end up taking months — or years — to get around to it! In the excitement of finishing unpacking, it can be all too easy to dismiss addressing storage as something for another time. As a result, you'll miss out on using the items in the boxes and on using the spaces they are taking up in a functional, intentional way. Storage is of course necessary in most households — the key is to keep it limited, organized, and not using up valuable space. Plus, storage should comprise only those things you use or genuinely intend to use. There's no point in taking up precious square footage with items you won't miss. If you already have friends or family in the area you're moving to, send out invites for an assembly party. Have your pals come over and help out with the sometimes tedious task of furniture assembly, with the promise of refreshments and music. It'll be great to have your friends be part of the moving-in process and your furniture will be ready for use much more quickly! You might think that this is a low-priority item during your move, but you'll definitely want to have your WiFi ready while you're moving in. Whether you need to look up local information and services, update friends and family, or just watch frivolous TV shows while you clean and unpack, you'll be thankful you took this extra step. Get in touch with Okoboji real estate experts at Hoien Realty today and stay tuned to our blog for more handy real estate tips and advice!